We have many traditions here at APH Networks. From our yearly site themes to specialized annual contests, there are quite a few things we look forward to doing year after year. And by "we", it's not just the team here at APH. It's you, the reader, and the team here at APH that make all these things possible. In the past, our 'specials' usually end up being April Fools articles. This year, however, we wanted to do something a little different than we did in the past. When we contacted Philips (Yes, that Philips) late last month to see if they are interested in working with us for our Christmas review special this year, we were pleasantly surprised by their enthusiasm in participation. The reason why? Like we did back in April 2008, we wanted to take a look at something that we normally don't as a computer technology media outlet. With our deep interest in automotive and automotive technology (Well, at least yours truly, haha), what we have here for our review today is one of Philips' latest innovations in halogen technology. For those of you who aren't too familiar with automotive lighting, there are only two major manufacturers in the market today; of which one of them is Philips, and the other being Osram-Sylvania. Philips' innovation in such areas, as well as their industry-leading quality control standards, is well known among car enthusiasts. This is especially important for both performance and reliability. And Philips' X-treme Power +80 bulbs we're reviewing today promise to be no exception either. What makes the Philips X-treme Power bulbs so special? Well, for one thing, they promise to offer up to 80% more light than the ones that come with your car -- using the same amount of power as stock bulbs, with no modifications to your car required -- at all. Not only that, they're the brightest US Department of Transportation approved aftermarket halogen bulbs on the market today. And here's one more thing: They're better than those so-called 'HID/Xenon plug and play conversion kits'. Why? Read on to find out. We also got a video for you in just a moment! Our review unit of the Philips X-treme Power bulbs came in a tiny corrugated cardboard box from Philips' Canadian offices in Toronto, Ontario. Using Purolator Air, everything arrived in excellent condition with no signs of shipping damage. It was actually kind of funny when I first looked at the package, since they arrived on the same day as our G.SKILL RAM arrived. I came home expecting one package, then I was like, "What the heck is this?" -- took a look at Philips being the sender, so I cracked open the box and eagerly examined the contents. It's been quite a while since I've been all the exciting products arrived on my doorstep on the same day! The retail package of Philips' X-treme Power halogen bulbs is a plastic container wrapped in thin cardboard on the outside, as shown in the photo above. The predominant red and black color scheme is complimented effectively by the use of white text to deliver a sense of dusk and approaching darkness, but juxtaposed by the red and white for hotness and sharpness -- the theme and mood is set perfectly for the product inside. A center cutout reveals the two X-treme Power bulbs I've been so excited about -- which, by the way, are only available and sold as a pair -- behind a thick piece of curved transparent plastic. Bulb size is listed at the top right corner of the flap. Product description and replacement instructions are printed on the back. Our particular bulb size used in our article today is 9006/HB4, which is a very common size for low beams in many vehicles; such as my 8th generation Honda Civic. However, depending on what you drive, you'll need to look up the replacement bulb size for your particular vehicle model. Generally speaking, consumers won't have any problems recognizing the X-treme Power in a retail location -- especially with the bold Philips logo across the bottom of the package! Removing the external wrapper reveals the pair of Philips X-treme Power bulbs at the center of two plastic shells. These shells are clipped together at the center. Simply pull them apart, and they become two individual U-shaped stands. Each bulb is secured into its respective packaging socket -- which actually provides a surprisingly strong attachment to the bulbs, and it require some effort to remove. If you recall, at the beginning of this article I mentioned that the Philips X-treme Power bulbs are better than those so-called 'HID/Xenon plug and play conversion kits'. Before we move into the explicit comparison section with photos and even a video against our stock setup, let's go over some technical details to give you some further understanding of automotive lighting technology! Since the Philips X-treme Power bulbs are designed to be used without any modifications to your car's electrical system, the maximum amount of power to produce up to 80% more light than stock as specified by Philips is restricted to only 55W at 12V. Since the Philips X-treme Power are still tungsten-halogen bulbs, how can a light emitting device of the same type claim to emit so much more light with no increase in power consumption? Using a palladium-coated head and chrome-coated base with special anti-reflex coating, the Philips X-treme Power incoporates an superb geometrical filament design to operate close to the maximum possible temperature for the tungsten. This is done in conjunction with the quartz glass with new optical finish to improve lighting performance. Additionally, the higher pressure gas fill insde the bulb also has a new composition formula compared to its predecessors, as well as adapted pressure, to optimize final light output. In the end, the tungsten now burns more efficiently to maximize the amount of light put onto the road. Because the filament burns harder, take note that the bulb life of the X-treme Power may be shorter than the "regular" bulbs. II. How does it compare against plug and play HID conversion kits? Have you ever been blinded by oncoming traffic with some real bright headlights, that encompass an otherwise odd blue tint, but which looks like it is coming from a conventional headlight setup? Chances are that you have just encountered someone who installed those so-called 'plug and play HID conversion kits' in their stock, clear reflector housing. Not only is this dangerous to others, it also provides no lighting advantage to the drivers themselves -- not to mention illegal in most jurisdictions. Again, let's bring up the topic of optics (Wooo, it rhymes, haha). Although I am in electrical engineering, optics are not my particular specialization -- but I can assure you that these technical facts do not change over time with those 'HID conversion kits' and their so-called "developments", since the problem doesn't boil down to the way they are implemented, but rather the nature of the light source. When a halogen reflector or projector is designed, they are designed specifically for halogen bulbs, and halogen bulbs only. A halogen bulb has a cylindrical light source, which is a glowing filament. An HID bulb has a crescent-shaped light source, which is the arc. While the space immediately around the halogen tungsten filament is completely dark, in an HID bulb, the space that immediately surrounds the arc is the brightest. Additionally, where the former's sharpest contrast between the brightest and darkest exists along the edges, this phenomenon occurs at ends of the crescent of the latter. And the list goes on. Generally speaking, the way light is created and the way light is distributed is characteristically very different between the two. And when a halogen reflector or projector housing is designed by the manufacturer, it is designed purely around the light source it is meant for -- and it is very obvious that one designed for a halogen light source cannot be compatible with an HID bulb regardless. This is very simple logic. What this really means is that it is while possible to physically install an HID bulb into something designed for a halogen bulb, it is not meant for that; and will not function the way it is meant to be. Something designed for a halogen light source is meant for a halogen light source only. It's kind of like bringing a pair of roller skates to a skating rink. You can technically go on ice with the roller blades, but it's not meant for this purpose. 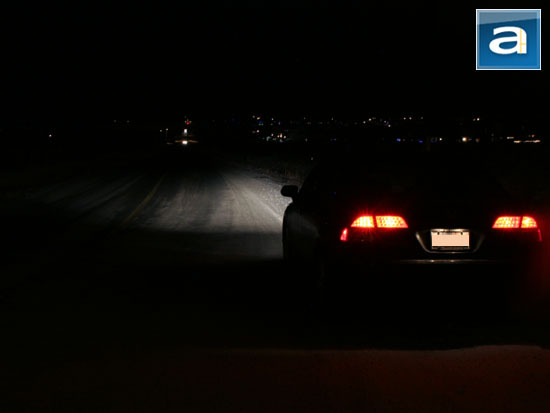 I regularly read several automotive forums, and many of the regular contributors appear to be convinced that the light cutoff is the only thing that matters when it comes to the conversion from halogen to HIDs. 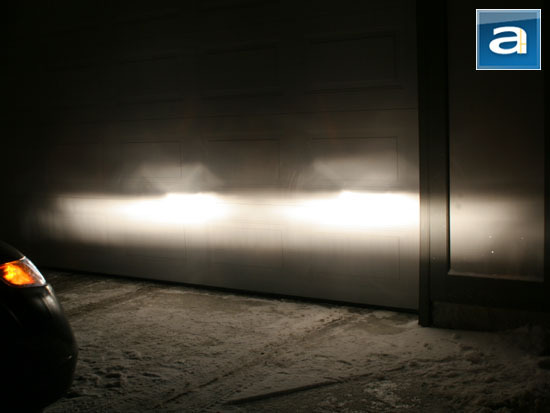 Cutoff is just one of many factors when it comes to evaluating beam pattern -- while a low beam with an inappropriate cutoff will inevitably blind oncoming traffic, some halogen reflectors actually do provide adequate cutoff when shone against a wall. Some cars equipped with halogen projectors are even more naturally so, because that's the nature of a projector headlamp and will provide a clean cutoff regardless of light source. However, this does not take into account of what happens below the cutoff that causes significant glare, or otherwise inappropriate lighting for oncoming traffic. A true HID projector provides very sharp cutoffs, and evenly distributed light distribution for a specific spread and range. Halogen headlamp housings cannot and do not provide this to any degree of satisfaction. Installing HID bulbs in a halogen housing -- whether it be reflector or projector -- also provides an illusion of increased light output. Because halogen housings with HID bulbs distributes light unevenly and concentrates significant amounts of light output into a relatively small area, it creates an illusion of improved performance due to increased foreground lighting. But just because there's more light directly in front of your car means very little when you're on the move. It gives an illusion of better vision, but in reality you're not seeing as far as you normally can or supposed to, due to inappropriate lighting distribution. Believe it or not, it also affects the way your eyes react. If the area directly in front of your car is much brighter than the surrounding environment, it causes your eye's pupils to be narrower, and as a result lets less light in. Now I have to make it very clear that there's nothing wrong in particular with brighter foreground lighting, as this is a natural result of having brighter lights. It only becomes a problem when you take away the light that is supposed to be projected a specific range, and concentrate all of them to a few feet in front of your car -- then it becomes an issue. 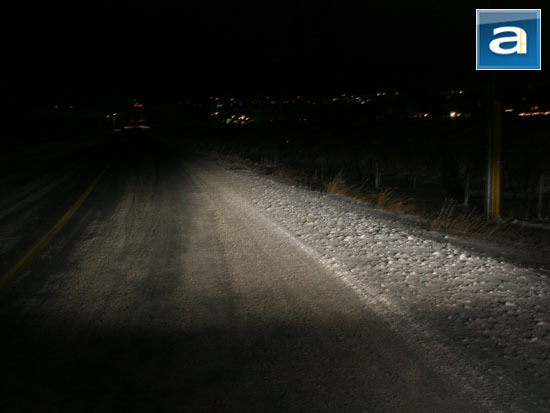 The result is that you can't see as far as you normally can at night, causes glare onto oncoming traffic as aforementioned, this is a significant safety concern both for yourself and others on the road. This brings us upon the topic of installation and cost. Even a generic 'plug and play HID conversion kit' usually costs more than a pair of Philips X-treme Power bulbs, regardless of what you purchase. 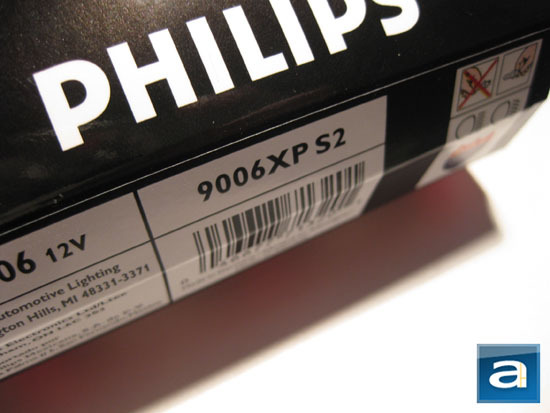 If you want genuine Philips or Osram bulbs, it will cost you even more (Note: These kits may include genuine Philips or Osram components, but neither manufacturer condones inappropriate retrofits). Also, a true retrofit requires more than just the bulbs and ballasts. In order to overcome the issues with installing HIDs into a non-HID equipped vehicle we have previously discussed, you will need to purchase proper projector headlamps designed for HIDs to replace your stock halogen reflector or projector. I am all for properly installed HIDs, but the only way to do it is to replace the entire system with parts designed for the bulbs in question. Generally speaking, while installing just HID bulbs will only require minor modifications to your car's electrical system, retrofitting an entire proper setup is an expensive and labor intensive procedure for the lesser experienced. If you want to access optimal locations for placing your ballasts and installing proper HID projectors, most conversions will require removal of your car's bumper before you begin anything. Admittedly, the Philips X-treme Power are no HIDs -- and by that, we mean HID bulbs with proper HID projectors -- but I can assure you that the X-treme Powers not only offer tremendous value over the so-called 'plug and play' HID kits, but they are also legal, much safer, and actually US DOT approved. 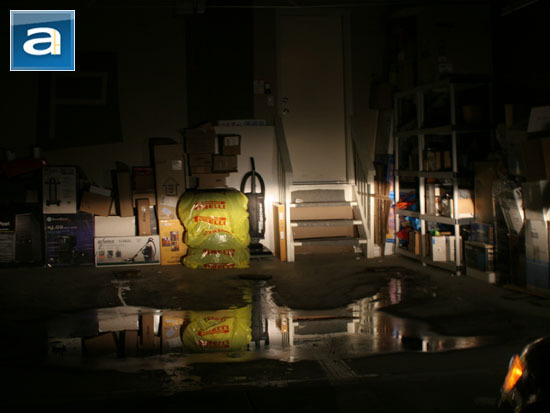 In fact, they're the brightest DOT approved halogen bulbs with up to 80% higher light output than standard bulbs. That's not to mention they're very easy to install, since their installation requires literally zero modification to your vehicle. But do they offer the type of performance you desire? Let's see how they look on the real road! The following photos were made as accurate as possible by the use of a dSLR camera in full manual mode, so the camera does not adjust aperture and shutter speed automatically (Since brighter light will trigger faster shutter speeds, which will render the photo comparisons invalid). All photos were taken with the same ISO setting, aperture size, and shutter speed to ensure maximum visual accuracy. The car is turned on to ensure the lights are running without limitations. Test vehicle is a 2007 Honda Civic sedan. 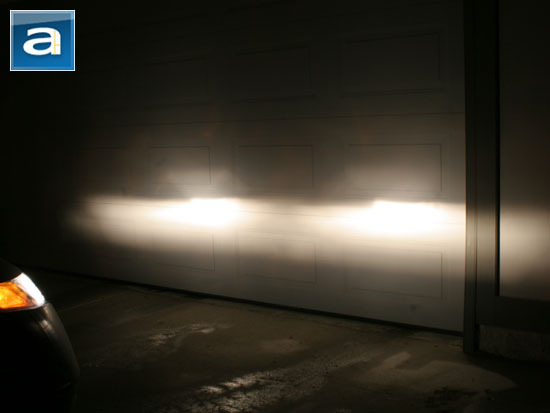 Our first visual examination is very short range effect against my garage door. The first photo is stock, and the second photo is equipped with the Philips X-treme Power. In the first photo, we can see that the light is more yellow in tint, and fairly concentrated in the center but fades out quickly. Meanwhile, the second photo shows light that is noticeable whiter, and much more intense even when the light is off center. Our second visual examination provides an example of short range and side cutoff performance. Again, the light emitted in the first photo is much more yellow, and noticeably less intense both in quantity compared to the light in the second photo. The latter is clearly brighter; and the Philips X-treme Power provides more natural, white light compared to the stock bulbs. Our third visual comparison displays medium to long range performance. 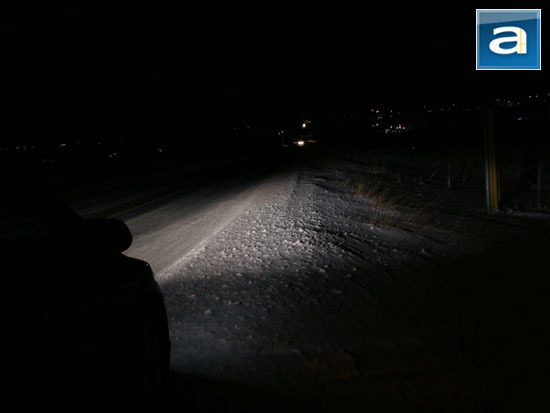 I was not able to accurately capture the effect of long range performance of the X-treme Power bulbs in the photo above, but you can clearly see this later in this article with the embedded video in just a moment. Meanwhile, the photos above make it extremely obvious that the light projected (Or to be technically correct, reflected) from the X-treme Powers is clearly brighter than stock. In the first photo, you pretty much cannot even see the light whether it's far or close in lit conditions -- if you look carefully, some effects of the light can still be observed in the long range. I must note that this is only a photographic limitation though. All in all, with the Philips X-treme Powers, the difference in close range illumination is extremely obvious. Fortunately, this is not where it ends. 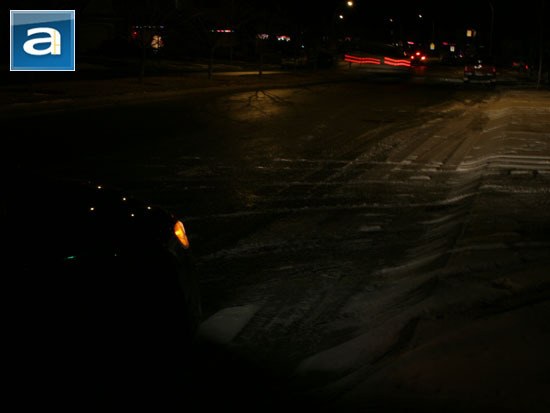 Unlike inappropriately installed HID kits, the emitted light extends all the way down the street to retain equivalent range, but with much higher light intensity. Generally speaking, the Philips X-treme Power delivers noticeable illumination performance in both short and long range measurements, even in places where street lighting is abundant. With the stock setup, sometimes it is hard to tell if the low beams are even on at all in situations like this. The only way to tell without looking at your instrumental cluster is to look far and see if light reflects off signs or objects at a distance. The Philips X-treme Power makes it very obvious, and it is not merely an illusion like improper HID setups. The optics are fully compatible, and it actually increases safety for both short and long range lighting. But how does it look in places that are not equipped with street lights? Left side, in front of car. As we've mentioned earlier in this article, many people see high foreground lighting as an illusion of bright headlights, as in the case of improperly implemented HIDs. However, it is only a bad thing if light is not distributed correctly with the wrong bulbs in the wrong housing -- brighter lights in the right housing will inevitably produce noticeable foreground lighting as a result. 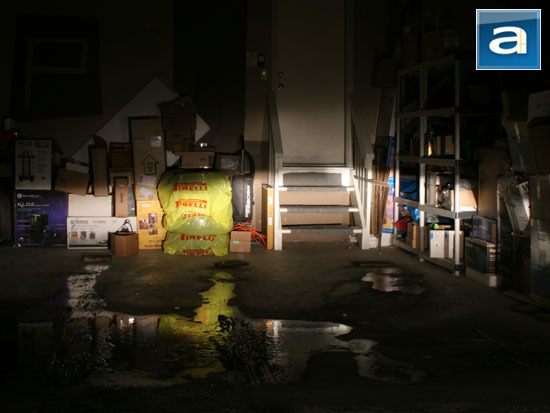 As you can see in our photos above, the right bulb in the right housing with proper light distribution produced truly excellent and noticeable effects. The Philips X-treme Power +80 bulbs emits a strong beam of white light with very good light intensity. We'll let the pictures above tell the story. In our video below, I started off with my daytime running lights (DRLs), then the low beams with the Philips X-treme Power installed are turned on. 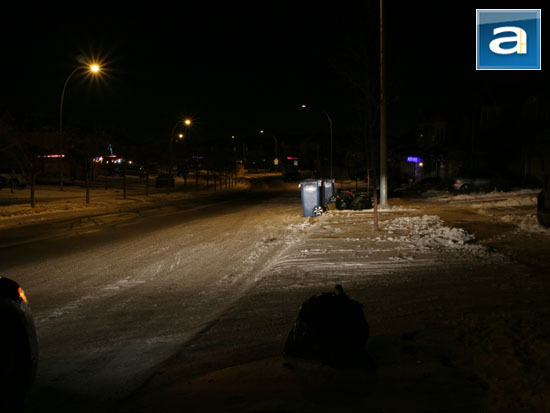 Places with or without street lighting is demonstrated in the video. For long range effects, a good example would be at around 2:50 to 3:05 -- you can clearly see the effects of my low beams on the houses at a distance! So what can I say? Now that we understand the technology behind Philips' X-treme Power bulbs, more on the truth behind those so-called 'plug and play HID conversion kits', as well as the various forms of media I have used to demonstrate the capability of these lights, its advantages are very clear. There are many excellent websites and articles that discuss in detail various topics with regards to X-treme Power's lighting technology, and more technical information on the problems with improper and illegal HID installations for further reading. With all these in mind, over the last few weeks of using the X-treme Powers, I have only one thing to say: They're absolutely brilliant. Both figuratively and literally. Not only are they extremely easy and quick to install for the average user, they also produced noticeable undeniable improvements in lighting performance. And they do so in a safe and effective manner -- all with zero modifications required to your car's existing electrical system. For around $50 retail at press time, there's no other product that provides this level of illuminating power and range for your money. The Philips X-treme Power +80 halogen bulbs is really the right product, in the right implementation, and in the right execution for a very practical upgrade. If you don't believe me right now, you certainly will after you've tried them! Philips provided this product to APH Networks for the purpose of evaluation. Here at APH Networks, we are a computer technology review website that don't normally look at automotive components other than our review specials. If the Philips X-treme Power fell within our standard category of reviews, you guessed it -- it's a clear APH Recommended! posted 5 hours and 42 minutes ago, with 12 posts. posted 5 hours and 42 minutes ago, with 9 posts. posted 5 hours and 43 minutes ago, with 3 posts. posted 5 hours and 45 minutes ago, with 4 posts. posted 5 hours and 46 minutes ago, with 56 posts.